Hydration has always been important to me. I love to sweat and I love to move, but I hate to cramp up. I have always done my best to make sure I am well hydrated to prevent cramping, but there are only so many bananas I’m willing to eat to load up on potassium. Speaking of cramping, that is one of the complaints I hear most often from my pregnant clients and friends: they wake up in the middle of the night with horrible Charlie horses – what a terrible way to lose sleep!! Another thing that keeps mommies-to-be waking up all night long is frequent trips to the bathroom… but not this SOS-loving mama! 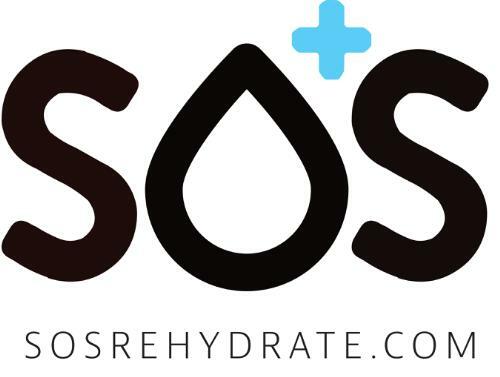 Since SOS hydrates more effectively with less liquid (you will absorb 3x more water than from drinking water alone), I don’t need to drink as much at night to feel hydrated, and therefore make less trips to the ladies’ room. Bonus: I have not once woken with a cramp since drinking SOS before bed. When I got pregnant the first time, all of my doctors talked about the importance of staying hydrated during pregnancy. Water is required for many of the tasks that a woman’s body needs to perform with a baby on board, AND hydration prevents pre-term labor. I didn’t need to get told that twice- during my first pregnancy, being pregnant with twins put me at risk for pre-term labor as it was, so I was determined to stay hydrated to the best of my ability for my whole pregnancy. It gets hard to keep drinking water when you already feel full of baby. Thank goodness for SOS, it is such a nice sweet hydrating treat that seems to hit every pregnancy craving. 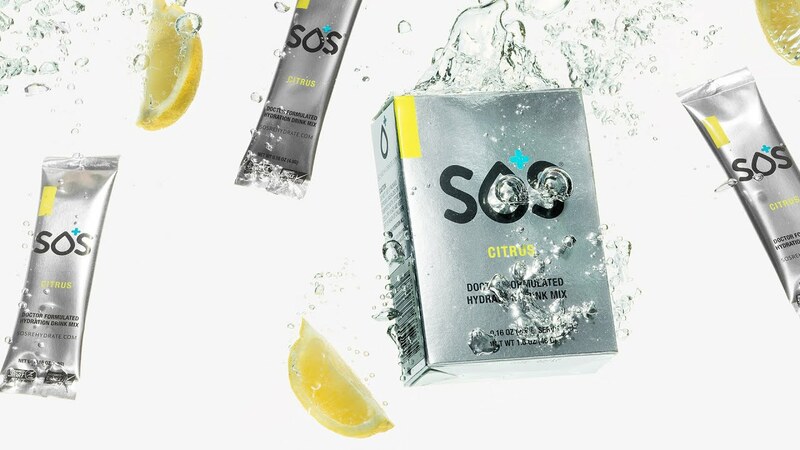 While many pregnant women complain they get bored of water, the sweet refreshing taste of SOS eliminates that boredom. I’m not there yet on this pregnancy, but, after the baby is born, should a mama choose to breast feed, she needs hydration more than ever. And, lots of it! Creating all that liquid nutrition requires even more hydration than being pregnant. So, in the “fourth trimester” of pregnancy, with your “outside baby”, you need hydration more than ever, and again: it’s SOS to the rescue, since it allows you to absorb 3xs more than water alone AND, now with it’s Organic certification, us mamas-to-be can feel good about drinking it for us and for our little babes… not to mention low in sugar! Of course, the last phase for most mamas is trying to get the baby weight off, and once again, hydration is key. Our brains often confuse thirst for hunger, so staying hydrated allows our body to know when it is actually hungry, and helps to not over eat. I’m SO grateful to have discovered SOS Hydration to keep me optimally hydrated, and help me on every step of my baby / mommy journey. Hydrate, caffeinate, repeat. It’s a way of life for those with an active lifestyle. So what is it about caffeine? Can it really be that good for performance? Who can benefit from caffeine? Caffeine can have positive performance improvements across a range of different sports and in both males and females. Performance improvements of ~3% have been found in the lab, however, it’s difficult to predict precisely the improvements we can expect from caffeine in ‘real life’ training and racing, as other factors such as tactics or weather conditions can influence results. It’s also important to know that individual responses to caffeine are highly varied. Some athletes may find that caffeine can have negative effects on performance while others find that caffeine offers them no benefit at all. It was once thought that caffeine increased the use of fat as a fuel thereby ‘sparing’ muscle glycogen. However, we now know that the most significant benefits of caffeine come from its effects on the brain. More specifically, caffeine is able to act as an adenosine receptor antagonist. By blocking the action of adenosine, caffeine influences the central nervous system. This can improve your perception of fatigue, resulting in a longer period of sustained work. In simple terms – you can improve your ability to ‘go harder for longer’ before the effects of fatigue set in, improving your performance. What caffeine product works best? Coffee, cola drinks, caffeinated gels, caffeinated gum…the array of caffeine containing products available is huge. But is any one source better than another? Studies have found that the beneficial effects of caffeine are seen across a variety of different products. Where it becomes tricky is that different products (and even different brands of the same product) have different amounts of caffeine. Knowing how much caffeine you are consuming is important as there can be a fine line between the amount which improves performance and the level at which negative side effects can occur. The list below provides some examples of how much caffeine is found in a range of products – be aware though, formulations frequently change so it’s best to double check the packing to be sure. Unlike some supplements, you often feel the benefits of caffeine soon after consumption (regardless of when levels peak in the blood). Performance improvements have been found regardless of whether the caffeine is taken one hour before an event, split in to doses over an event or taken only in the latter stages of an event when feelings of fatigue are most likely to really kick in. The duration of the event will obviously have an impact on timing of caffeine intake. In shorter events (e.g. cycling criterium, sprint triathlon) where there is little opportunity to eat or drink during the event, having caffeine before the event is the most useful approach. On the other hand, during events lasting several hours (e.g. ironman, marathon) having caffeine before the event and/or topping up during the event, or saving the caffeine for the final stages, is more likely to be beneficial. Individuals should practise a variety of different strategies to determine the approach that works best for them. Regular coffee drinkers can relax – there is no need to stop having caffeine in the days leading up to an event if you want to use caffeine during an event. Withdrawing from caffeine offers no additional benefit and will more likely lead to negative effects associated with caffeine withdrawal (e.g. headaches, irritability). How can I use caffeine during my training? Don’t sacrifice sleep. Will caffeine negatively impact your recovery? In 2018, INDY CAR will enter a new era of design and performance. The redesign without a new chassis was key for a few reasons. First, it saves team owners from the expense of having to buy an all-new chassis, which should keep car counts high. Second, it puts the $10 – 15 million spent on developing the aerokits back in Honda and Chevy’s pockets. Most importantly, third, it lowers the threshold for a third or fourth engine manufacturer to enter the series. Instead of having to develop an aerokit and an engine, they are just on the hook for an engine. So what does the new car change? The engine intake moves from above the driver’s head to the sidepods, with a lower engine cover an a reintroduction of the roll hoop that was always seen in Champ Car until that series’s demise. Downforce is generated less by the wings and more underneath the car, which cuts the ‘dirty air’ to the car behind and should allow for more passing than the series already has. There are larger sidepods which sponsors will love, especially because the current sidepods can barely fit a name and other aero bits can cover the names. The LEDs to display position and push-to-pass data are more advanced and there are on-board cameras built-in all over the car. It’s supposed to be even safer than before, with fewer pieces that can scatter in an incident. It’s also ready to accept a windscreen or some sort of cockpit protection. The aerokit is also made of fewer parts, which should help the bottom line of the team owners. Honda and Chevy will still supply engines to the restyled cars, and the hope is that another supplier joins sooner than later. In the United States July 4 is a day to enjoy the Nectar of the Gods in the sunshine. Unfortunately, that often makes for a rather rough July 5. The main culprit behind a hangover is dehydration, so why not avoid the next-day disaster by rehydrating while you drink? That’s why the lovely Rachael Robbins the Chickologist helped us to create 4 delicious cocktails: one for each colour of the SOS flavor-rainbow. To celebrate America’s birthday (spoiler: Independence day should actually be July 2) we’re sharing our favorite way to enjoy Berry SOS big-kid style. Combine all ingredients in a shaker and chill! Strain over crushed ice in a rocks glass and garnish with mixed berries and mint… I like Giffard Creme De Framboise. And the BEST fruit purée company is called Funkin Pro. The popularity of tattoos has increased tremendously in the last 10 years, particularly among athletes and military personnel. The tattooing process involves permanently depositing ink under the skin at a similar depth as eccrine sweat glands (3–5 mm). Purpose: The purpose of this study was to compare the sweat rate and sweat Na+ concentration of tattooed versus nontattooed skin. Methods: The participants were 10 healthy men (age = 21 ± 1 yr), all with a unilateral tattoo covering a circular area at least 5.2 cm2. Sweat was stimulated by iontophoresis using agar gel disks impregnated with 0.5% pilocarpine nitrate. The nontattooed skin was located contralateral to the position of the tattooed skin. The disks used to collect sweat were composed of Tygon® tubing wound into a spiral so that the sweat was pulled into the tubing by capillary action. The sweat rate was determined by weighing the disk before and after sweat collection. The sweat Na+ concentration was determined by flame photometry. Results: The mean sweat rate from tattooed skin was significantly less than nontattooed skin (0.18 ± 0.15 vs 0.35 ± 0.25 mg·cm−2·min−1; P = 0.001). All 10 participants generated less sweat from tattooed skin than nontattooed skin and the effect size was −0.79. The mean sweat Na+ concentration from tattooed skin was significantly higher than nontattooed skin (69.1 ± 28.9 vs 42.6 ± 15.2 mmol·L−1; P = 0.02). Nine of 10 participants had higher sweat Na+ concentration from tattooed skin than nontattooed skin, and the effect size was 1.01. Conclusions: Tattooed skin generated less sweat and a higher Na+ concentration than nontattooed skin when stimulated by pilocarpine iontophoresis. AUDIO: There’s A War On Sugar. Is It Justified? Many experts believe that we are currently in a ‘Big Tobacco moment for the Sugar industry’, and there is plenty of evidence to suggest that the parallels warrant warning. 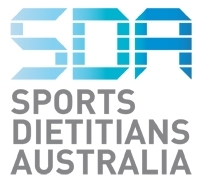 However, given that nutrition studies are not very robust compared to many other fields in biological science, some still claim that the ‘jury is still out’ on the issue of sugar and its effects. Less than two months ago, this subject was the topic of investigation and discussion by Freakonomics co-author, Stephen J. Dunber. How much sense does this all make? Dunber discusses the topic with a regulatory advocate, an evidence-based skeptic, a former FDA commissioner, and others. The full audio is available below. Click HERE for a link to the full transcript. It would seem logical that exercise is associated with increased energy expenditure and therefore increased hunger and drive to eat, so why is it that we often feel extra hungry on days off training? Here are some possible explanations to consider why we feel hungrier on rest days. There is evidence that exercise influences all of these components. For example, during times of energy deficit (e.g. the day after a big training day), our appetite hormones are signalling for us to eat more, and this may contribute to increased hunger levels. On days of high training load/volume, hunger is often suppressed after exercise (especially after vigorous exercise), most likely due to redistribution of blood flow to the extremities, away from the gastrointestinal tract. There appears to be a delayed compensatory response, whereby a lag of 1-2 days, or longer, seems apparent in order to ‘even out’ days of high(er) energy expenditure. Interestingly, some people are compensators and others not. That is, some eat habitually (the same thing which doesn’t change from day to day) while others eat according to hunger and/or based on the activity completed (or not). The theory (called the ‘glycogenostatis theory’) suggests that glycogen availability has a central role in feedback signals to the body to restore energy balance. After glycogen depletion (which occurs during exercise), one of the body’s priorities is to restore carbohydrate levels in the body. This theory suggests that after exercise the glycogen depletion of the muscles exerts a signal to the body to trigger compensatory eating, which in turn, restocks carbohydrate in the body. The specifics of this signalling pathway are currently relatively unknown and further research is required to fully understand the mechanisms involved. Another prominent theory suggests that there is a biological drive to seek particular foods to replenish blood sugars or glycogen. This effect could also relate to preferences for particular tastes associated with certain nutrients (e.g. sweetness which is often associated with carbohydrate rich foods). Some research says that often people don’t always feel hungrier in the couple of days following a bout of exercise, but do feel hungry if they have missed a meal. Translate this to real life and we have the scenario where training may replace time spent eating food, which then leads to an increase in appetite and drive to eat in the days afterwards. So the good news is that fluctuations in appetite are completely normal. For best health and wellness, it’s a good idea to tune in to your hunger levels and then adjust your eating accordingly. The only way to tell the story of SOS is through the people pushing themselves everyday to be the best can they be. Whether its winning the Indy500 or running the Boston Marathon, THE SOURCE is home to all the amazing stories across Our Rehydrated World. How listening less to college coaches and more to Lance Armstrong will help you run faster… legally. There is a timeless saying, “you don’t get fit when you’re running; you get fit when you’re recovering”. If training was only about running then you’d barely stop, and Dean Karnazes would win every event from the 5,000m to the marathon at the Olympics. Thankfully, that isn’t the case. The current obsession about weight in running is incredibly disconcerting. When female athletes become fixated on becoming as thin as possible it is rightly seen as a health concern, yet amongst males it is becoming an expression of masochism and bravado. The head cross-country coach at Colorado State Art Siemers has become one of many coaches in the NCAA known for fixating on the weight and appearance of his athletes. “Thin to win” is his catch phrase, and it’s a terrifying precedent to set on young, highly impressionable athletes. Weight is just one variable in the training equation of stress, recovery, and adaptation. This is a delicate equilibrium that if thrown off balance can have devastating effects. Weight should not be used as a catalyst to precipitate training adaptations; rather it should be a carefully managed bi-product. If we accept that fitness gains are made during recovery, then carrying less weight through diet restriction to complete a workout faster will only result in an inability to recover properly. Eat good food; you need it. There are plenty of ways to skin a cat. Some are more effective than others, but the point stands – hydration has to be taken care of before all else. Products used for recovery like chocolate milk are crucial for repairing muscle damage through protein synthesis, yet for this process to be as efficient as possible the muscles must be well hydrated. Without hydrating, protein synthesis will be less effective and increase the time needed for recovery. Balance is also crucial, as our bodies endocrine system is affected by electrolyte losses. If one electrolyte is consumed in high volumes without the correct balance of the hormonal processes will be disrupted. In a 2015 interview with Joe Rogan, Lance Armstrong stated, “naps are performance enhancing”. He’s not wrong. Sleep is when the magic happens, where the money is made, and most of us aren’t getting enough of it. When we sleep, our body repairs damaged tissue. During the deeper stages of sleep, human growth hormone (HGH) is released into the bloodstream where it helps rebuild muscles and convert fat to fuel. The point is simple; when we don’t get enough quality sleep it becomes harder for our body to recover. The modern world isn’t making it easier; it is now commonplace to be looking at your phone in bed, with the emitted light telling your brain to remain awake and vigilant. Try to avoid your phone, tablet, laptop or anything emitting that kind of light for an hour before you want to be asleep. A good rule of thumb would be 9hrs before you need to wake up. This can have an exponential effect on your ability to have quality sleep and recover.